2000 Avios with Zipcar membership – a good deal? 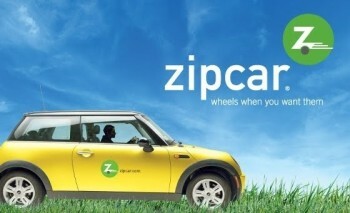 British Airways has a low key partnership with ‘by the hour’ Avis-owned car rental group Zipcar. It is so low key that I didn’t know that the sign-up had been increased from 1,000 to 2,000 Avios at some point in the last few months. I like Zipcar. We have a membership in London and there are about 15 cars within a 15-minute walk of our house. The nearest, which is available 80% of the time, is about 30 seconds away. £6-£7 per hour for the car, plus £59.50 annual fee, is a lot cheaper and easier than owning a car. The process is very simple. You initially unlock the car using a credit card-sized membership card or via your smartphone. The keys are in the glovebox. At the end of the rental, you reverse the process. If the petrol tank drops below 25% full, there is a fuel card in the car to allow you to fill it up. This is an additional opportunity to earn some free Avios if you visit a Tesco, Esso or Shell garage! If you join Zipcar via this British Airways / Zipcar sign-up page, you will receive 2,000 bonus Avios points. Once you are a member, you receive 50 Avios for every trip you book. This is a pretty decent return given that a short one hour rental will cost you as little as £5.95. If you are already a Zipcar member, you can opt in to the Avios option at no extra cost. Annoyingly, however, it cannot be done until your membership is next up for renewal. You need to email [email protected] and they will switch you over to the BAEC membership plan at that point. 'Credit Cards' page updated for February 2016 - what are the best deals this month? Hilton launches (yet another) brand - are you in the 'youthful mindset demographic'?! I used to be a member and found that they would give you a driving credit to the amount of the membership fee if you threatened to cancel. But the only time I booked an hour was to re-learn how to drive on a quiet Sunday morning as I hadn’t sat in a driver’s seat for 5 years after getting my licence… it takes an hour just to get going in London traffic… After that I only really used it for moving house and driving friends and family to/from LHR, there isn’t much else you can do, you are wasting money if you drive the car somewhere and then park it for the whole day while going about your business. I figured it would have been more useful if I lived outside London and needed to visit occasionally. So I looked into whether I could use it in Canada as a UK member, as you get 200km included which actually lets you go somewhere useful without paying extra, but it turned out that most of my family were members already, and they all love driving other people around all day. Anyone know if you can sign up for this and then cancel for a refund and keep the avios? I did the switch to Eon on a fixed deal in November and got my first bill a couple of weeks ago – at the bottom of the bill it offered me to switch again to their better tariff which I did – you don’t pay the exit fees for switching tariffs within Eon – only if you move company. Switching tariffs and companies appear on your credit searches I’ve discovered as I have a credit alert set up with Equifax. Yes I know that – I meant you could switch to a cheaper Eon tariff from the one you are on now without any penalty. i suppose it will lock you in again for a further year but I am ok with that as you are getting the cc points too. Zipcar was in my area of South East London until recently and they have been replaced by City Club Car. Not sure why the change from Zipcar. You will find that the council leased out the spaces to Zipcar and CCC presumably made a better offer. Even if Zipcar has a couple of parking spaces on private property, they would probably have pulled out anyway as you need a critical mass of cars in an area to attract members. Just trying to use the link posted to get £10 off the ZipCar joining fee plus £10 credit. Sadly, when I get through to the final screens, I get an error message saying that the code is not valid. Very odd, that is a public offer, not targetted. Thanks for the reply. Ill keep trying but no luck to date.